Tomorrow at Cat Got Your Tongue, a great divide will stand between Marq Quen and Anthony Gangone. The chasm between One Night Only is a guaranteed opportunity at the Excellence Championship Series. I’ve seen Anthony and Marq stand united against all fronts in Excellence Professional Wrestling since I’ve been with this wonderful company. I thought this day would never come. In my first night with Excellence, I was a timekeeper and watched Anthony Gangone dissect Alex Mason with what I would have thought were lazer-guided strikes that collided with the cranium of “The Carnivore” that put him in a concussed state and kept him out of an EPW ring for 5 months. That same night I watched Marq Quen defeat Dan Champion. David versus Goliath. In this iteration of the story, our David did not have a slingshot and a stone. His weapon is his form. EPW fans know this to be true: Marq Quen can do ANYTHING he wants to inside the squared circle. You tell him to jump and he doesn’t ask how high. He just shoots for the skies. The biggest opponent Marq Quen had on that night was not that Dan Champion was built like a brick house. It was that he was limited by the low ceiling in the Forest Lodge. Yet, he succeeded. From that night on, One Night Only would go on to become the only un-pinned and un-submitted team in Excellence Pro. That’s not from a lack of competition. Has anyone forgotten the three match set with The Osirian Portal? The series that was so influential on both teams that the Osirian Portal retired the Osirian Sacrament after that series? Has anyone forgotten about the duo facing off against the vicious and malicious tandem from Bled Island, The Batiri? Two matches that tested the mettle of both teams to the point where neither team truly feels that it’s resolved. 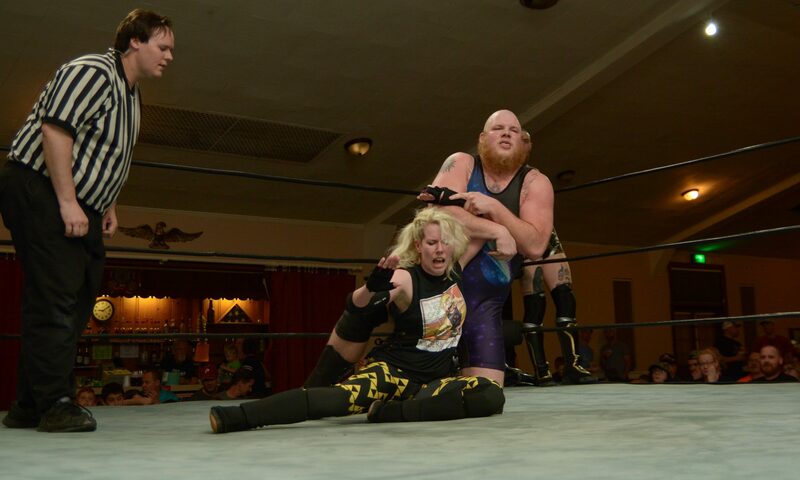 No one should have forgotten the collision of the top two teams in EPW today when One Night Only faced off with Too Many Cooks during Flea & Tick Weekend. A match-up so tough for One Night Only, they had to enlist the help of the Boar of Moldova to earn the victory after fleeing from the scene just two nights prior. As I said, I thought I would never see the day. But I should have. One thing drives One Night Only more than anything and that’s greatness. Excellence only has one thing that determines that greatness and that is the Excellence Championship. When One Night Only thought they had the cat in the bag in regards to a loophole in the wording of victories, Edgar got their tongues. There’s room for One Night Only, but only one representative from that team will compete in the Excellence Championship Series. Will the King of Strikes clip the wings of Marq Quen? Will Baby New Year ascend to new heights and crash down on Anthony Gangone’s championship aspirations? It’s not too late to save the date. August 13, 2016 at 7:00pm: One Night Only Explodes. The only question is could One Night Only ever be the same after Saturday?